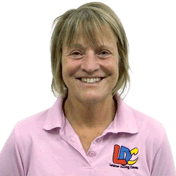 Chris was an excellent driving teacher, she is very encouraging and patient so really puts you at ease. 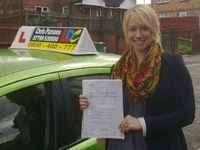 I passed my test first time, which I mainly put down to Chris and her great teaching. The LDC workbook also really helped and meant I had a head start on the details of what we were going to do in each lesson. I would recommend Chris to anyone and I am confident they would pass and be just as impressed with Chris' teaching. Thank you Chris I really enjoyed our lessons! I'm a driving instructor in Didcot and surrounding villages..